Anyone… Anything… can be smashed! 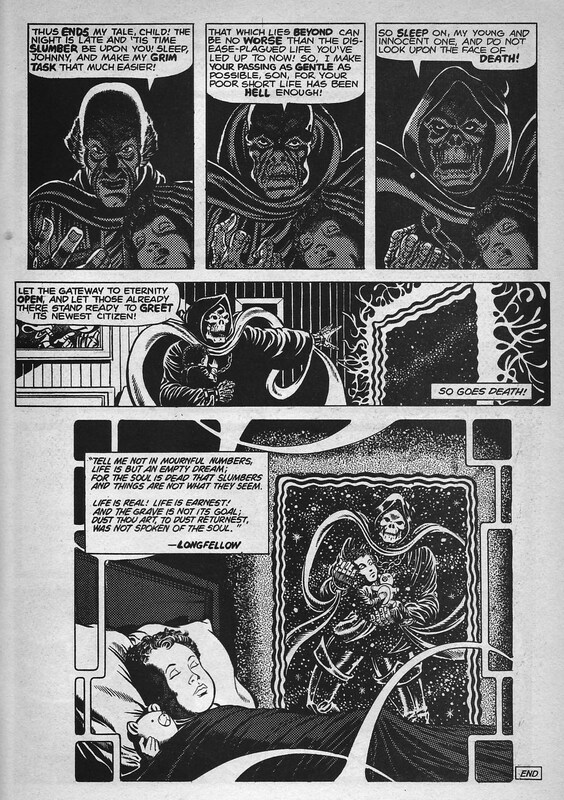 Originally, we meant to tell you all about how we discovered this book, which features a rare collaboration between two of our favorite artists: Jim Starlin + Alex Niño. But as we prepared our lovingly hand-crafted scans for you, we realized we scanned the exact same hair onto at least half a dozen pages. That’s a pretty big scanning fail, especially when you already shipped the dang book. OOPS. 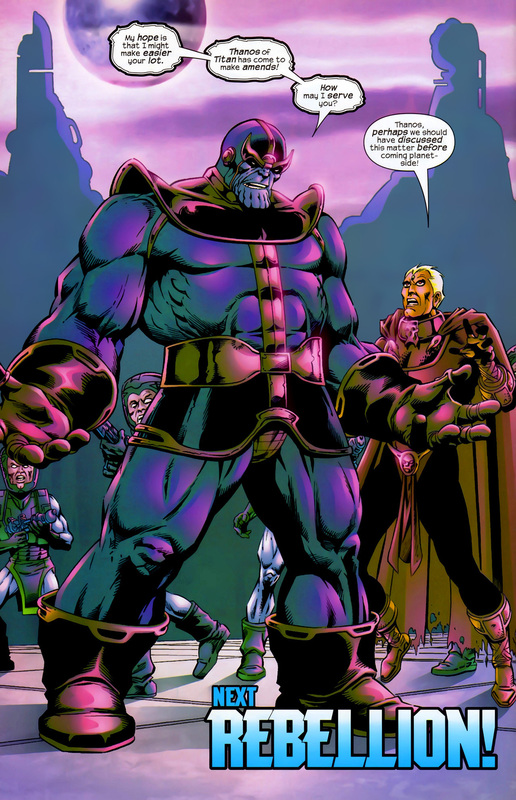 Thanos of Titan has Come to Make Amends! Always trying to conquer the universe just to destroy the whole damn thing can become a stressful occupation after a while. 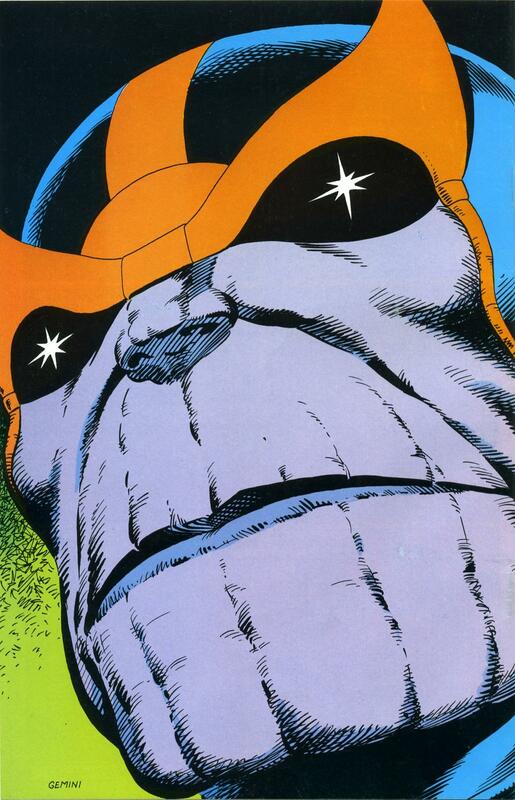 Jim Starlin’s stony-faced Titan, Thanos, ponders his failure to win as the ultimate bad guy of all bad guys ever, and he has a change of heart. For the first issue of Thanos’ short-lived solo series, Starlin brings back his familiar cast of characters: Adam Warlock, Gamora, and Pip the Troll. Starlin’s story takes up the first half of this series, with Keith “Legion of Superheroes” Giffen picking up the script for the second half. 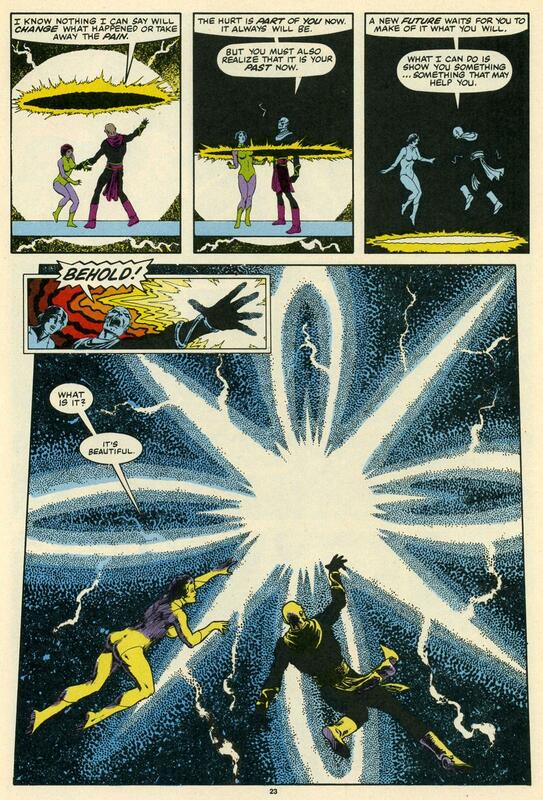 We include this scene from Dreadstar #2 in our Psychic Battle series even though it is not formally a battle. 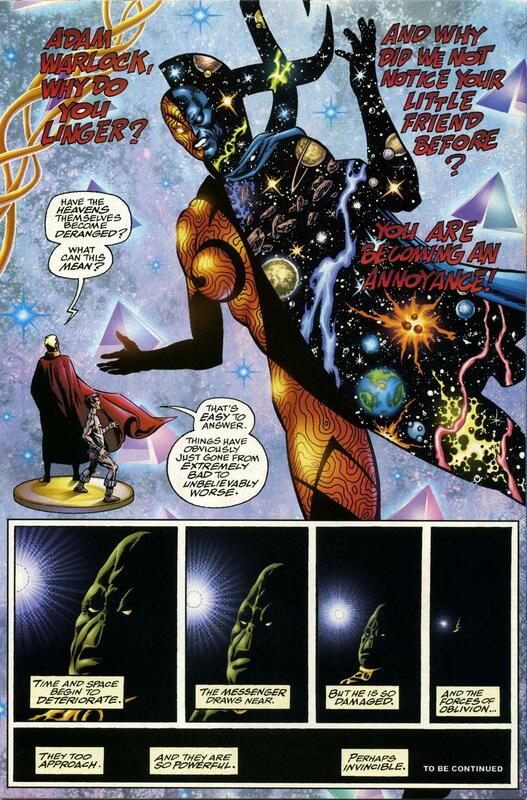 What we see here is different side of Starlin’s theme of psychic union or merger. Here, our protagonists are not vying for supremacy but seeking to cooperatively merge. 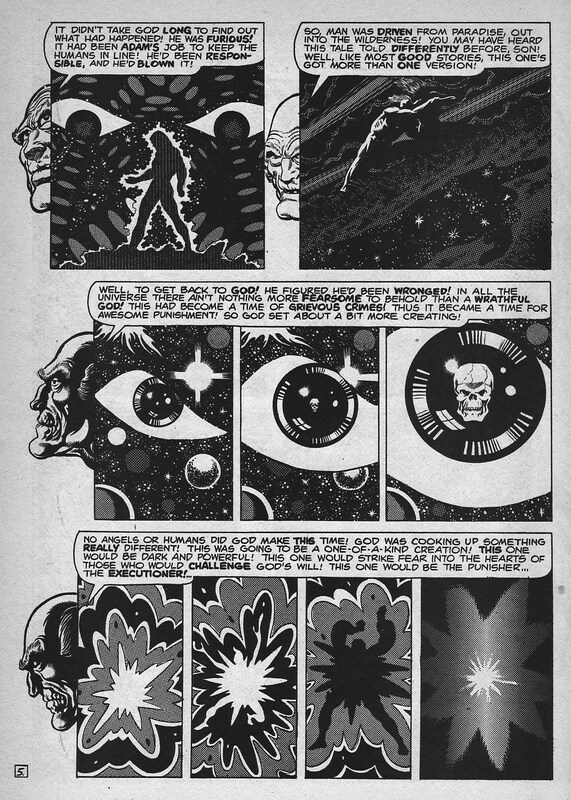 Jim Starlin depicts their faces merging, so that they become one being together on the psychic plane. While there is a scene within this scene in which Syzygy asserts his dominance over Willow to get at what is obstructing her powers, his goals are far different than what we saw yesterday in the battle between Willow and Monalo. Syzygy seeks to empower her. To this end, he brings her to a white light. It embodies the pure, unsullied essence of the human spirit – an image to which Willow would return for strength and comfort many, many times. – From Dreadstar #2; Epic, 1983. – Reprinted in Dreadstar and Company #2. 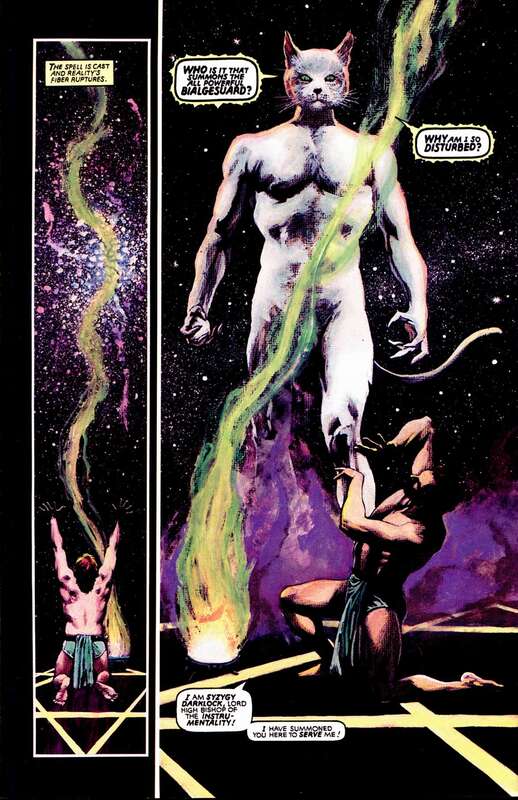 In Dreadstar #29, two telepaths battle on the psychic plane. As the metaphorical violence escalates, they become locked in a battle for supremacy of identity. 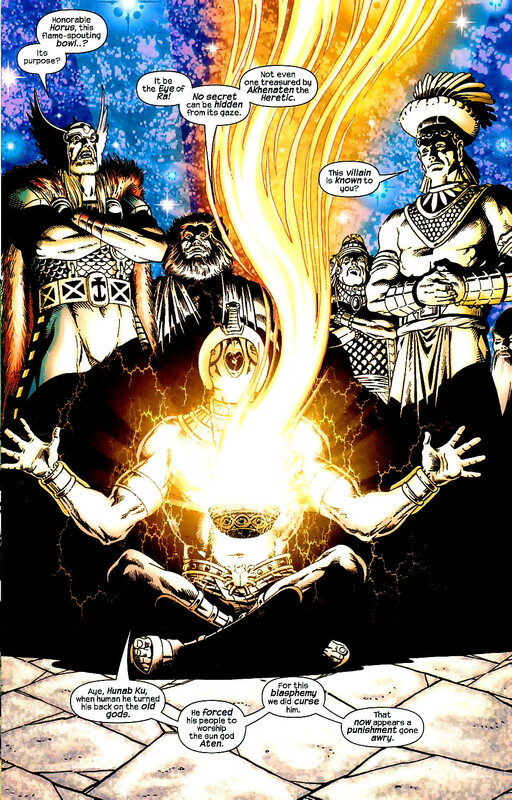 Monalo, the evil telepath, attempts to absorb or erase his opponent’s ego boundaries. He wants to take over her entire being. The good telepath, Willow, asserts herself against this onslaught – and the battle threatens to tear them both apart. 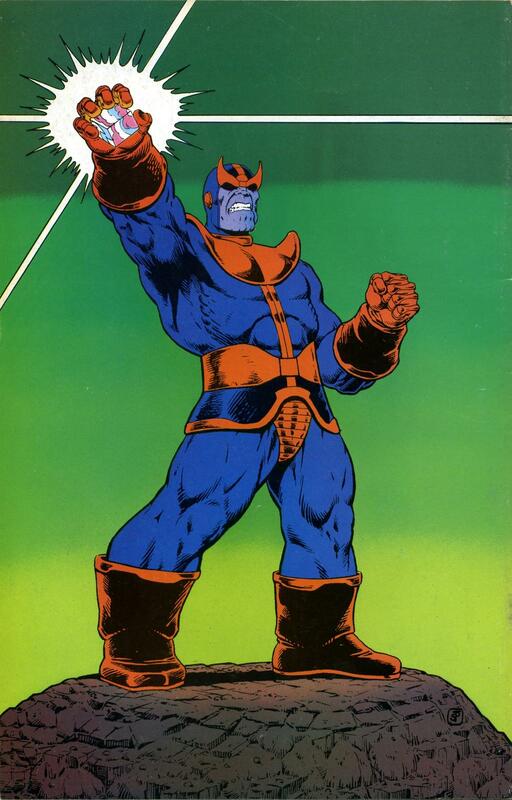 Jim Starlin depicts their bodies in a merged being, spilt down the center, with characteristics from both. 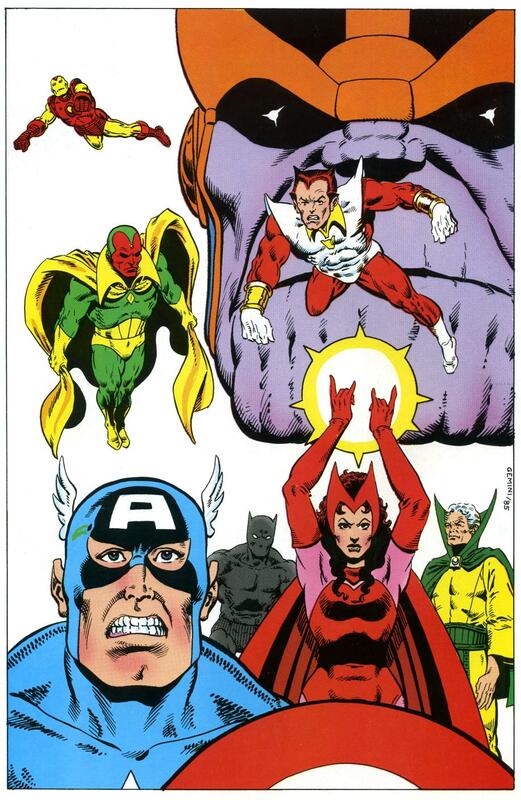 You can see the many similarities between this page from 1987 and yesterday’s page from 2002, a battle between Moondragon and Doctor Strange in Infinity Abyss. 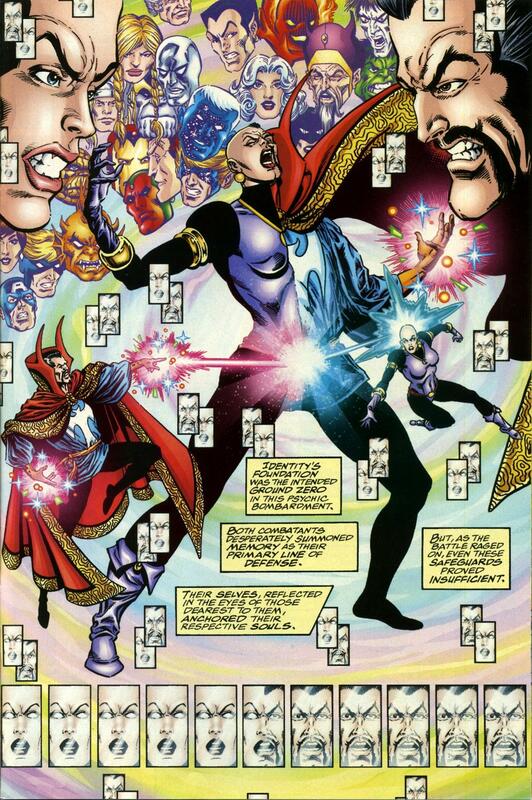 In the third issue of Infinity Abyss, Jim Starlin uses one of his favorite themes: the psychic/mystic battle in which the two combatants appear to merge. Here we see the bodies of Doctor Strange and Moondragon appear as a single entity. Starlin uses this device to show antagonists struggling for ego supremacy. They fight to maintain their very identities while subsuming the identity of their opponent. 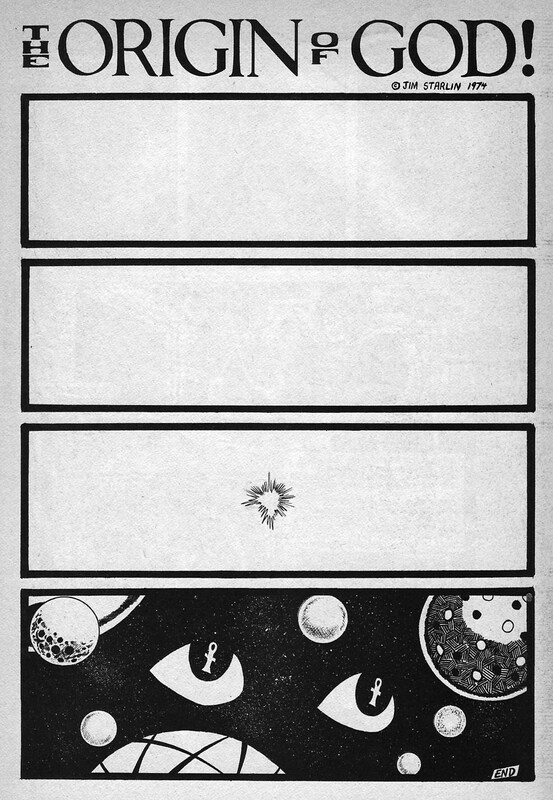 The final page of Infinity Abyss #3 recapitulates this struggle on the cosmic plane. 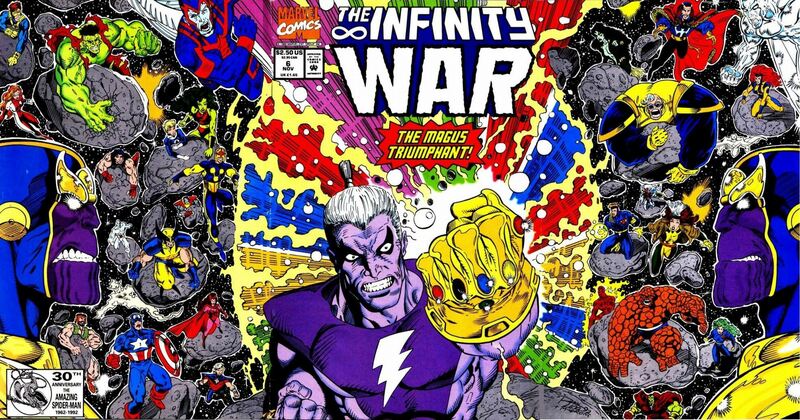 The two beings Eternity and Infinity appear before Adam Warlock in a similarly merged being. We’ve looked at Starlin’s use of the dual identity before in a psychic battle between Thanos and Galactus. Tomorrow, we’ll dig deeper into the Starlin archives for a scene from Dreadstar. – Originally printed as Infinity Abyss #3; Marvel, 2002. 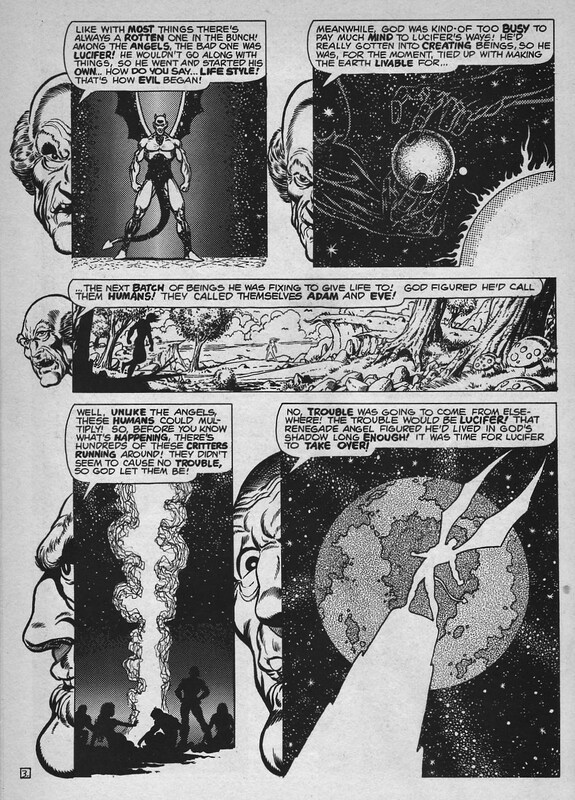 Jim Starlin’s Doctor Strange: The Creators Chronicles! 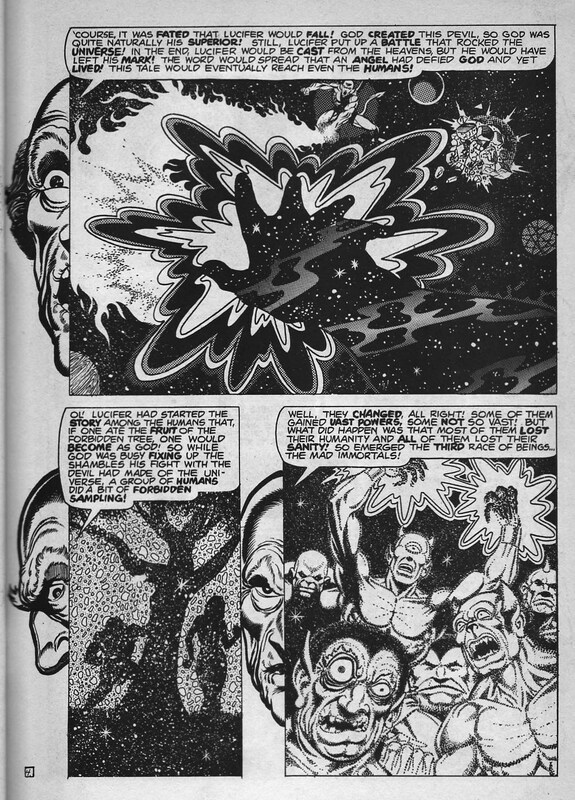 Jim Starlin kicks off a 6-issue Doctor Strange story arc that would eventually be known as “The Creators Chronicles.” We will share a few more issues from this arc in the coming days! The story takes Strange on a wild ride where the entire universe is recreated due to his blundering, and also ties off an interesting plot thread from Starlin’s original Warlock run. Marv Wolfman gets scripting credit on this issue, and the plot continues nicely from Marv’s previous issue. 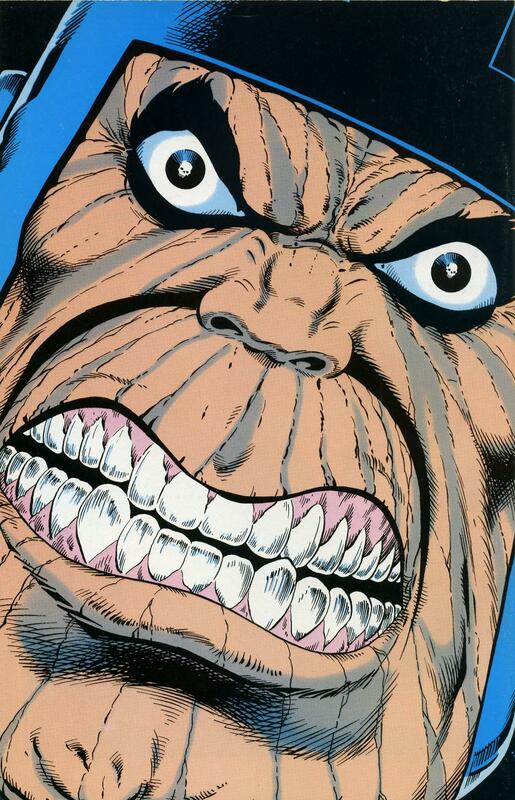 But make no mistake – this whole arc was masterminded by Starlin. Inker Rudy Nebres gives Starlin’s pencils a smooth, flowing quality. Nebres handled all the artwork on the previous issue with Marv. It’s worth checking out for his unique and dynamic layouts. – From Doctor Strange #23; Marvel, 1977. Power – Like All Things in Life – Has Its Price! Behold the tale of Syzygy Darklock, cursed with saving the galaxy! 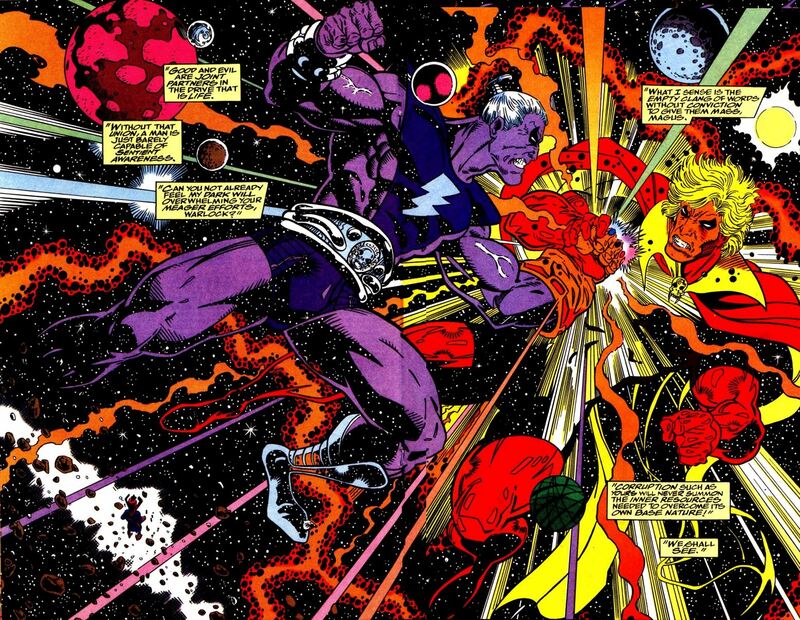 We found color scans of Jim Starlin’s The Price and thought you might enjoy them. Eclipse published the original in black and white — the only chapter of Starlin’s Metamorphosis Odyssey not published under the Epic imprint. 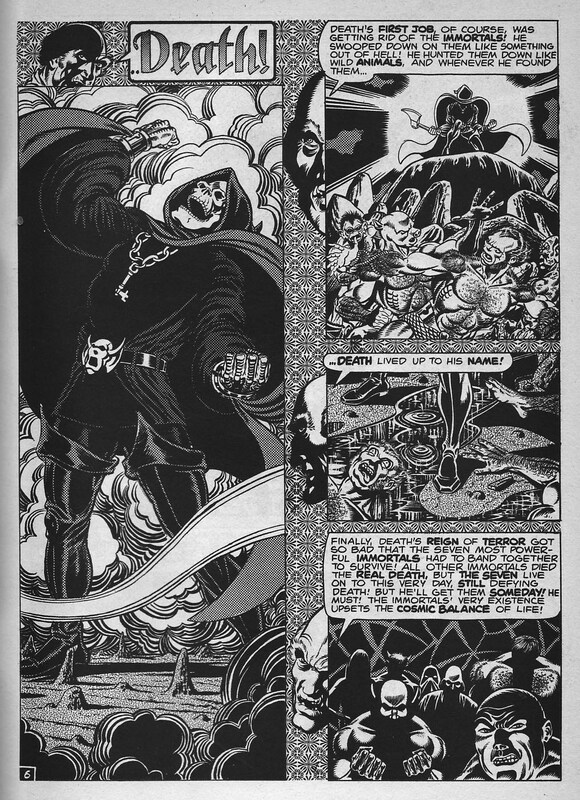 Here, in the pages of the only Dreadstar Annual, Jim’s painted artwork comes to life in color. In this scene, Syzygy confronts the demon who murdered his brother. The demon reveals he was bound by another and forced to commit the killing. The demon takes Syzygy to a plane of mystic power so that Syzygy can exact revenge for both of them. But, the gaining of this power has painful consequences. In later scenes, Syzygy must gain even more power, and the sacrifices become even more terrible. Dude, this is one twisted story! But, it taught us a very important lesson: Power, like all things in life, has its price. – From Dreadstar Annual #1; Epic. – Originally printed in black and white in The Price graphic novel; Eclipse. 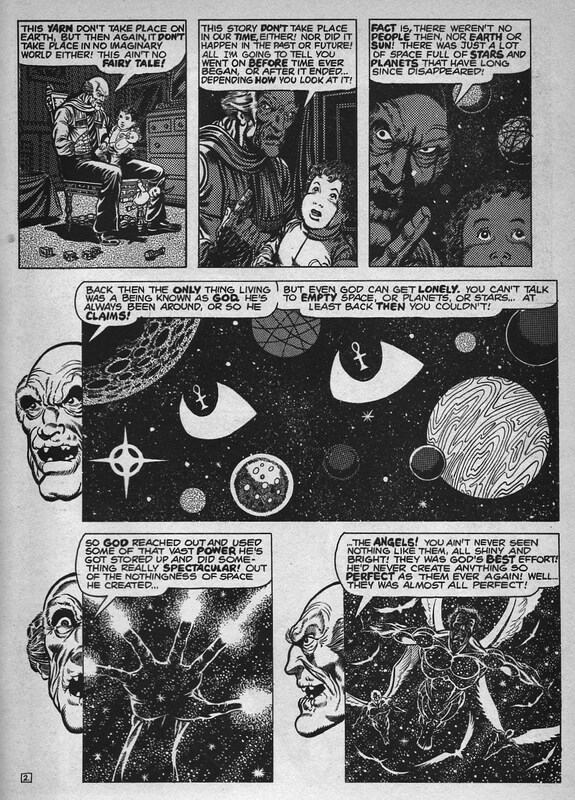 Fans of Syzygy Darklock will enjoy Jim Starlin’s earlier, unrelated character Darklon the Mystic as explored on Diversions of the Groovy Kind. Darklon’s first adventure was also called The Price. Groove has the black and white originals. You can also buy the color reprint of Darklon’s complete saga. Man-Thing: No Choice of Colors! 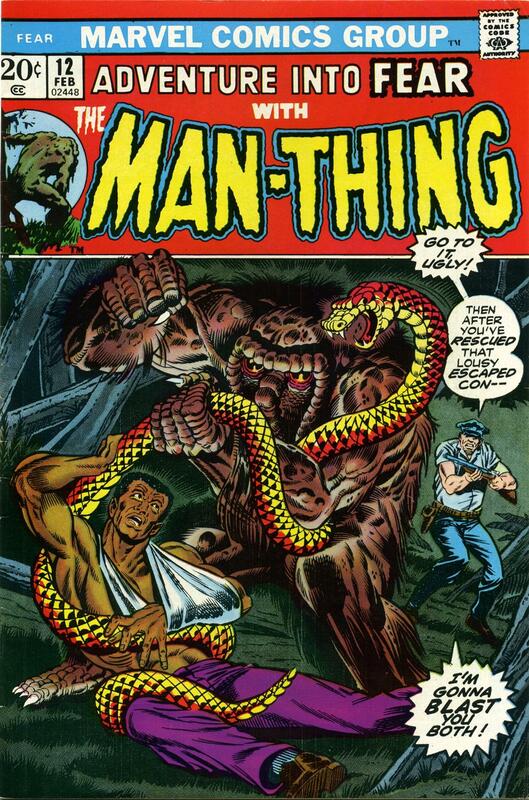 Today’s Man-Thing memoir rises from the muck of Adventure into Fear. 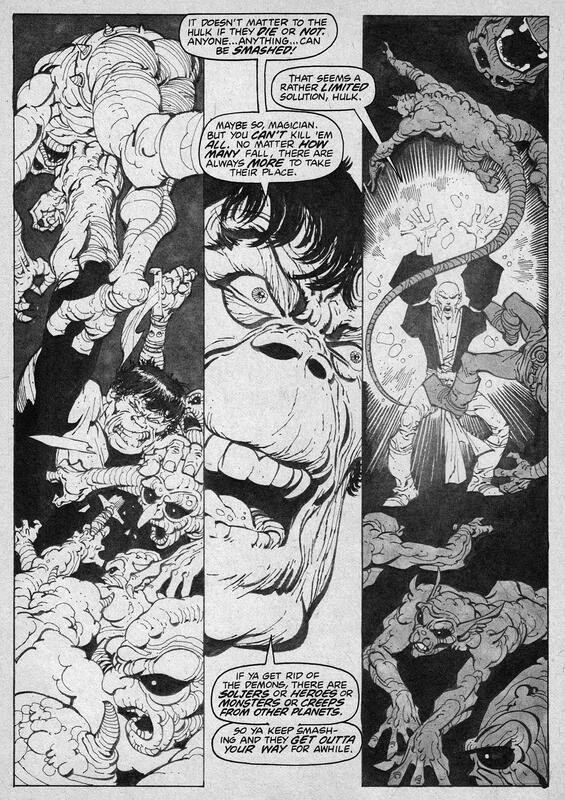 Man-Thing’s most famous writer Steve Gerber mans the helm, with a smashing art team of Jim Starlin and Rich Buckler. – From Fear #12 (a/k/a Adventure into Fear); Marvel, 1973. Metamorphosis Odyssey Chapter 3: Juliet! What can we say about Metamorphosis Odyssey? This is why Guttenberg invented the printing press! It’s what the ancient Egyptians hoped for when they first put words and pictures together on a piece of papyrus! The Iliad? A warm-up. Beowulf? Amateurs. The Brothers Karamazov? Not even close. So read it, buy it, and store 1000 copies in a weatherproof, impact-resistant time capsule for future generations. If you must have it all, you need Epic Illustrated #1-9 plus #15, The Price graphic novel (or Dreadstar Annual #1), and the Dreadstar graphic novel. That sets you up for Dreadstar #1-26 at Epic and #27-40 at First Comics. Whoa! There goes the kids’ college fund! But don’t worry: You can read the 10-page “Cliff Notes” version at Planets Disappeared In Atomic Infernos! You’ll also enjoy the chapter where Oedi and Dreadstar first meet Willow. Now get ready for action! Metamorphosis Odyssey Chapter 2: Za! Whoa! There goes the kids’ college fund! But don’t worry: You can read the ten-page “Cliff Notes” version at Planets Disappeared In Atomic Infernos! You’ll also enjoy the chapter where Oedi and Dreadstar first meet Willow. Metamorphosis Odyssey Chapter 1: Aknaton! Now let’s rock this thing! As we prepare to bid a fond farewell to the rockin’ year of 2011, let’s also say Good-bye to Captain Marvel. A moment of silence please… Now don’t be too sad, just like the year will soon be reborn, Captain Marvel won’t be gone for good! Honor Mar-Vell in our Captain Marvel Gallery. 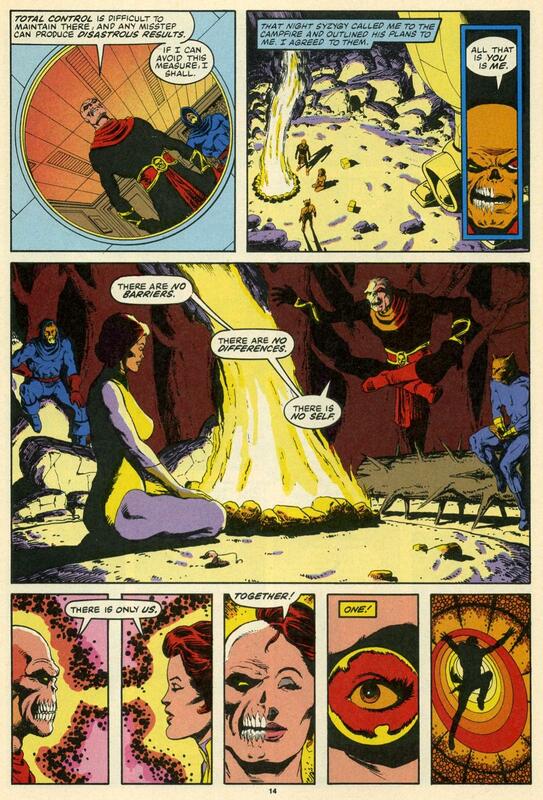 Life of Captain Marvel reprints the complete Jim Starlin stories from his legendary epic. Reprinted on high-quality glossy paper with a few special extras, Life of Captain Marvel is a fine companion piece to Jim Starlin’s Death of Captain Marvel graphic novel. Marvel put both the Life and Death into one single omnibus in 2002, The Life and Death of Captain Marvel. Rock out to these portraits of Thanos, Captain Marvel, The Controller, and the Avengers. You can find these on the back covers of the Life of Captain Marvel. See the rest of our Captain Marvel Gallery! Life of Captain Marvel reprints the complete Jim Starlin stories from his legendary epic that kick-started his career at Marvel Comics. Reprinted on high-quality glossy paper with a few special extras, Life of Captain Marvel is a fine companion piece to Jim Starlin’s Death of Captain Marvel graphic novel. 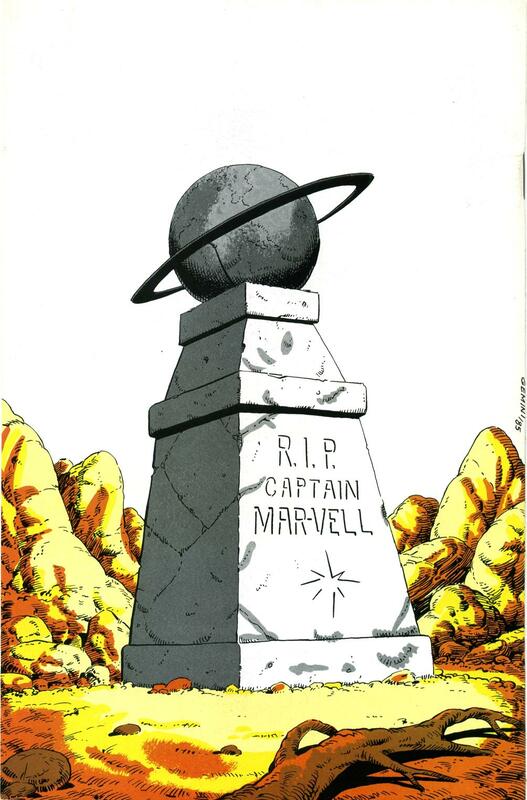 Marvel put both the Life and Death into one single omnibus in 2002, The Life and Death of Captain Marvel. Life of Captain Marvel reprints the complete Jim Starlin stories from the epic that kick-started his career at Marvel Comics. Reprinted on glossy paper, Life of Captain Marvel is a fine companion piece to Jim Starlin’s Death of Captain Marvel graphic novel. Marvel put both into one omnibus, The Life and Death of Captain Marvel. 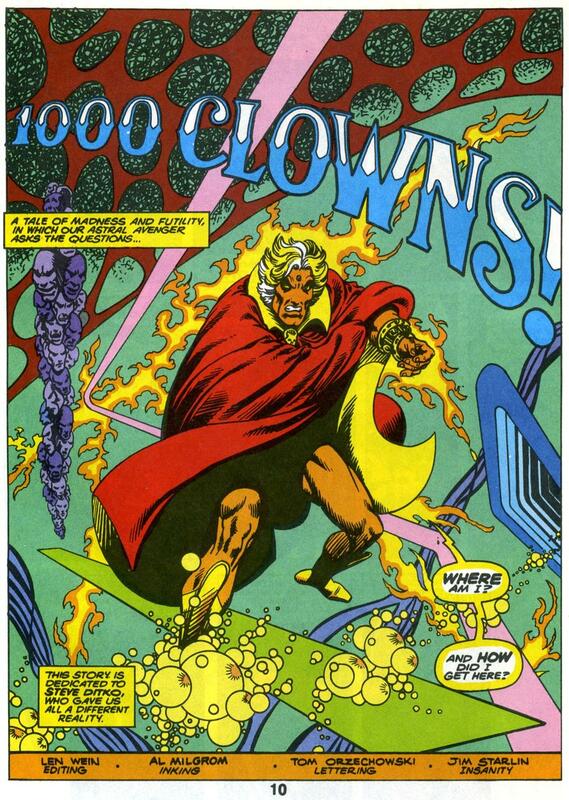 Jim Starlin’s Warlock Takes on 1000 Clowns! In the mid 1980s we discovered Warlock. 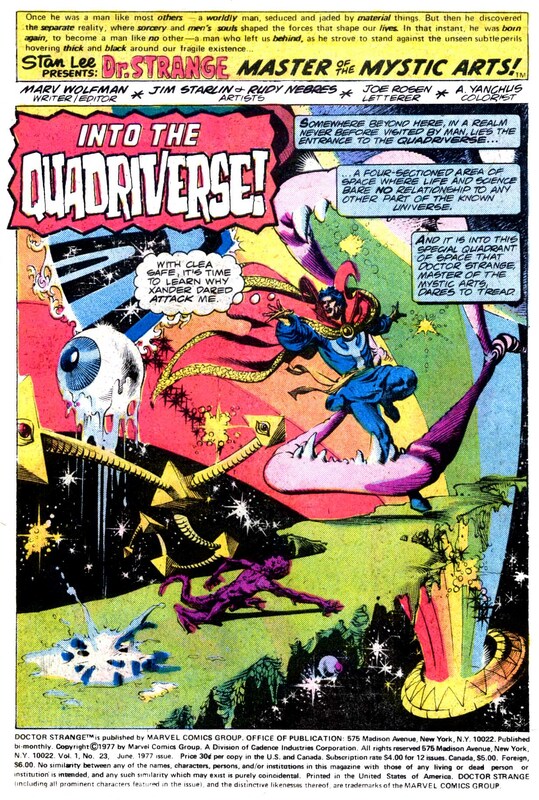 We’d been rocking out with Dreadstar and wanted to read more from this cat Jim Starlin. We liked the series, but it wasn’t until we got to 1000 Clowns that we realized Jim Starlin was talking to us. He was writing a metaphor about our lives. Yes, just for us, little Martians that we were. In 1000 Clowns, Jim Starlin lays it on the line. The people telling you what to believe and telling who you are – they’re all tools. They’re clowns, and they are indoctrinating you into their ridiculous beliefs. Starlin further demonstrates the only way to overcome their programming is to confront the deepest, darkest side of yourself. Starlin cautions that although you will gain incredible self-awareness this way, it may also drive you a bit insane – this integration with what Carl Jung called The Shadow. Jim, you just about drew the roadmap for our teens and twenties, and we’d like to thank you. It was a rough ride at times. But, like Warlock, we eventually found a way to alter our unalterable future. 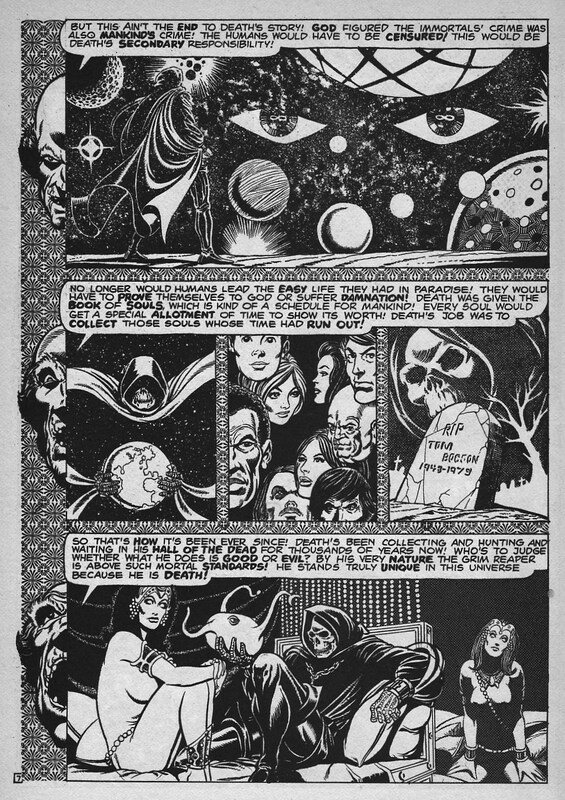 – Reprinted in Fantasy Masterpieces #11; Marvel Comics, 1968. 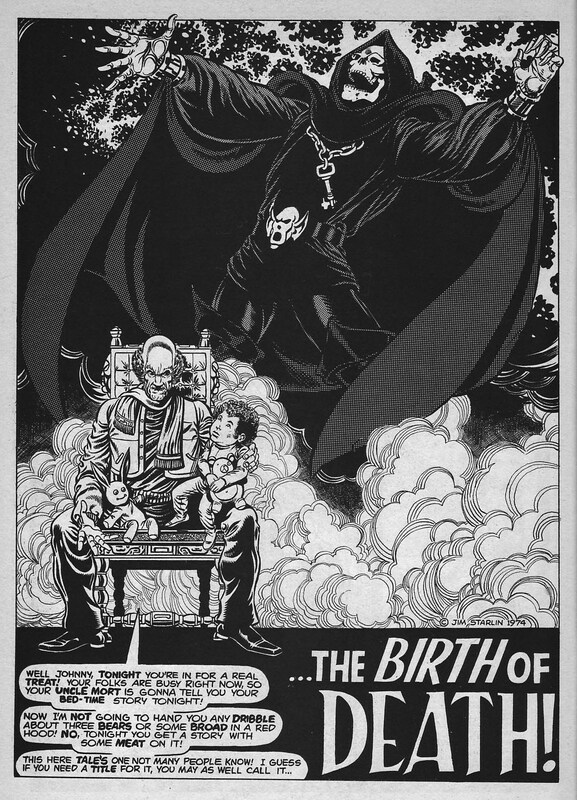 – The complete Starlin Warlock epic was reprinted in 1982 as Warlock Special Edition and again in 1992 as the Warlock Limited Series. Both reprints are the same material, but with different covers. Note: Starlin may have taken the title to this story about non-conformism from a 1962 play called A Thousand Clowns.